OK, so here's the setup. You've been playing D&D for several decades, and over that time, you've developed original house rules to suit your own playing style and variant classes to suit the preferences of your assorted players. And if you're an especially ambitious and organized hobbyist, you put it all under a single cover for quick reference, making the game your own. 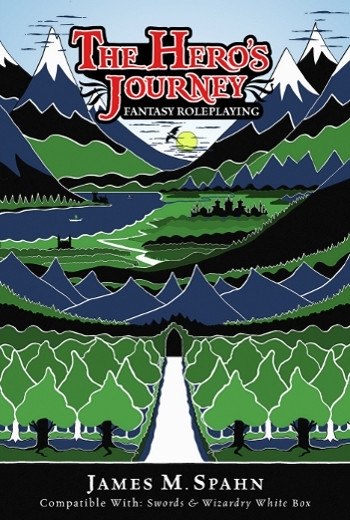 The Hero's Journey by James Spahn and Barrel Rider Games! Compatible with Swords & Wizardry Whitebox, this is a carefully focused system. Gone is the usual introduction to role-playing and explanation of the funny dice. 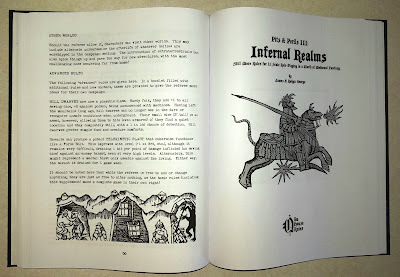 Readers are assumed to be already familiar with the conventions of the hobby via D&D. 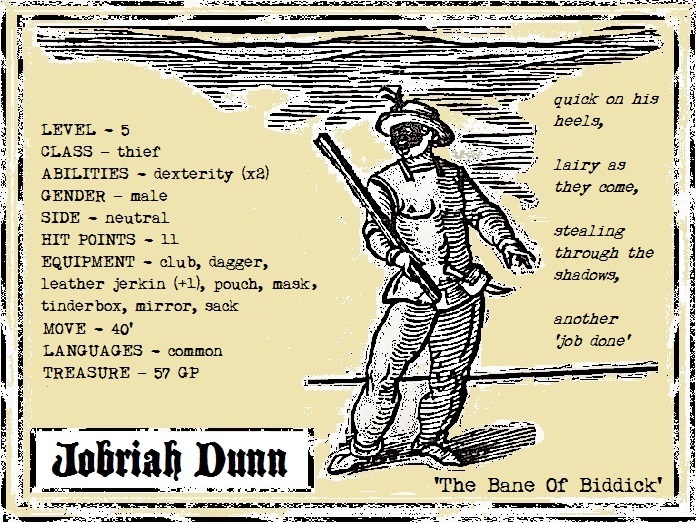 "Most life-long gamers have an image in their mind of the “perfect” fantasy roleplaying game. It’s usually pretty darn close to a published favorite with tweaks and modifications spread throughout to suit what they envision to be the pinnacle of gaming." At the same time, it's so much more than a list of bulleted statements or an outline of rules notations. The Hero's Journey includes all the relevant content of a proper game, including character abilities, classes, and races, not to mention magic spells and monsters, treasures and powerful magical items. All of them lovingly detailed and fully described. In short, this is a house-ruled version of the original game, lovingly constructed around what the author, by his own admission has filled with stuff that's, frankly, totally cool! First, we get professions (i.e., secondary skills), only here, professions, like being an armorer or teamster, are treated as the true starting point and primary! After all, this is what the characters did BEFORE becoming adventurers and leaving home to seek their fortunes abroad. These can be rolled randomly or chosen, noting that they grant advantages relevant to adventuring and add additional starting equipment. A nice touch. Note also that while the game is set up for race AND class, provisions are made for race AS class should the players wish to do this, and with a MINIMUM of hassle. 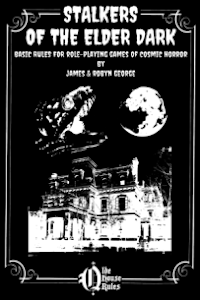 Indeed, readers will find numerous suggested house rules blocked off throughout the book, many of which open up intriguing possibilities for the GM! Once again, these are explained in great detail, but clearly and simply, creating an exciting atmosphere while also trimming the fat and keeping things straightforward and simple. 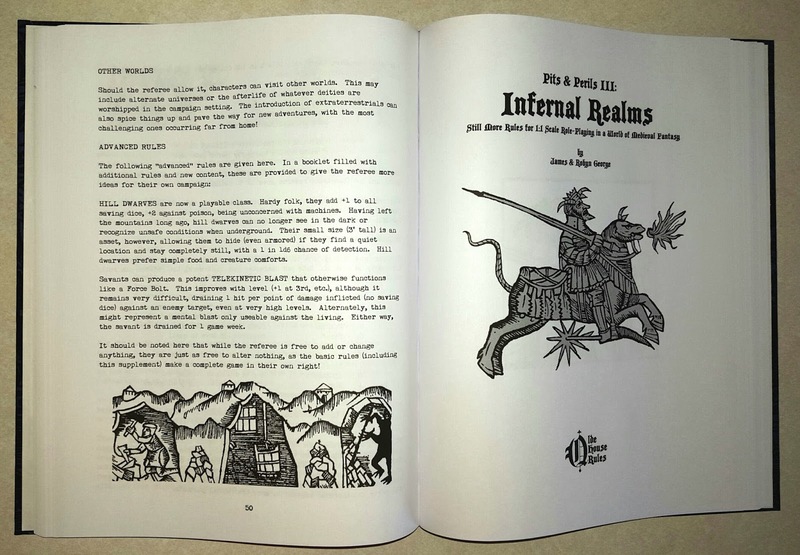 Spells, monsters, and magic items are described in detail, with relevant charts and tables, making the book an essential reference during play. Here you get more than enough for a great campaign where characters rise to great power, overcome terrifying foes, and acquire fabulous relics of power! Each of these sections leave off with advice for GMs to introduce their own original creations, making even this collection of personal house rules the springboard for other original house rules, which is just an awesome dynamic and in keeping this tradition. You could buy this, print it out, put it in plastic document protectors (we did this), and have a complete, detailed, and truly indispensable reference for an old-school campaign! The remaining artwork comes from various sources, all chosen to reflect the essential atmosphere of the game. 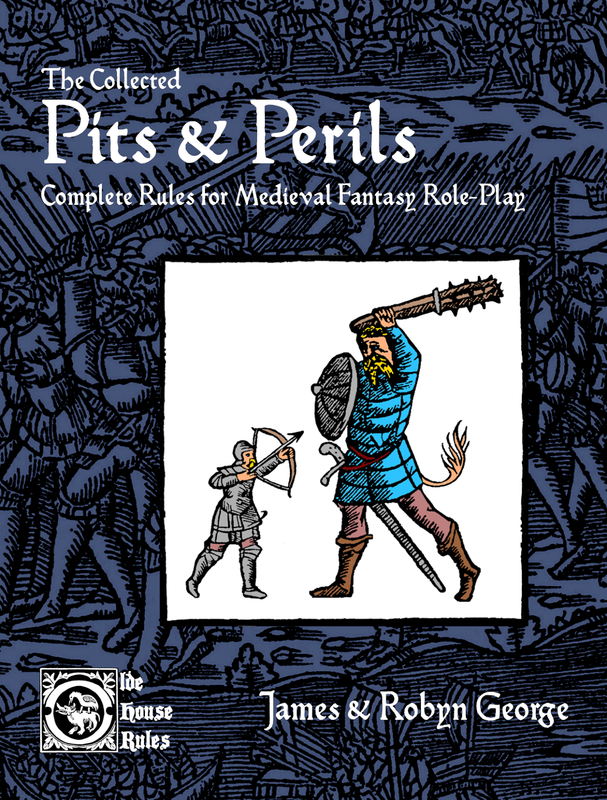 This is a pay what you want offering, and considering its great completeness, superb melding of the traditional with the original, and evocative production makes this an essential addition to a complete OSR collection. 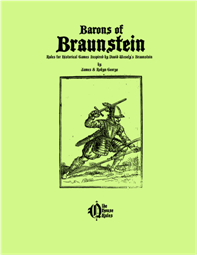 This is well-worth supporting, and we look forward to more releases from Barrel Rider Games and Mr. Spahn! First, each character is a rabbit. This means no armor, weaponry, and/or equipment, etc. They can fight with a bite and two claws and move normally (assume 20' per round) in combat. Also assume rabbits can bolt up to 240' per round for a single round, spending 1 LUCK per round thereafter. Otherwise, they can hide and/or jump (5') and attempt any similar acts of stealth as befits their wily species. Digging (1' per round in extreme cases) might also be possible in soft earth and allows them to take shelter against the elements, which can be deadly when so exposed (and this is explained below as a rules variant). 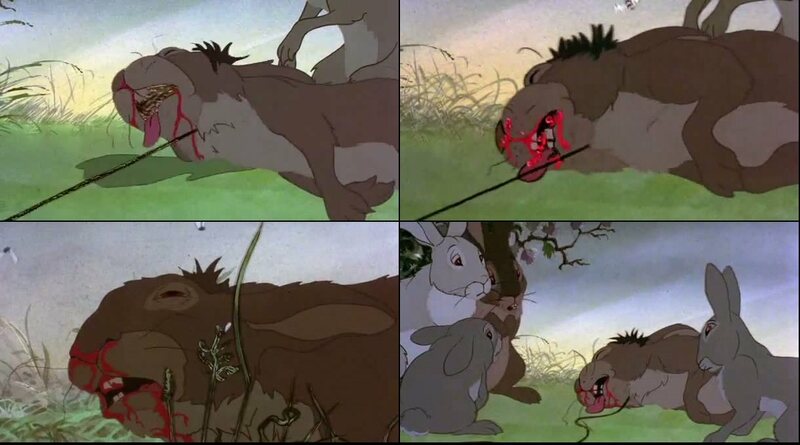 Rabbit battles can be rough! Finally, rabbits have LUCK as per the rulebook and are assumed to understand a "common" tongue of their kind. 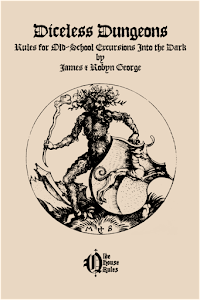 They also have an individual background which may include specific knowledge, perhaps an extra (animal) language or knowledge of herbs, and knowledge of the various books helps greatly. Assume no carrying capacity beyond what a character might hold in their mouths, like a small carrot, etc. Optionally, some rabbits are sensitive and prone to visions of future events. This must be included in the character's background, costs 1-3 LUCK (per the judge) to have, and are limited to but a single vision per day excepting those granted by the judge (and at no additional cost) to advance the story, etc. 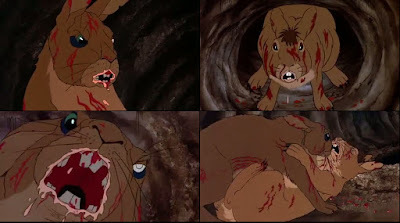 Rabbits are subject to the various elements and are especially vulnerable to extreme cold, spending 1 LUCK per day and being unable to heal when exposed as per the conditions at hand. Judge will undoubtedly need to flesh this out and may incorporate elements of religion (Lord Frith), etc. Humans employ firearms per the basic rules. However, the judge might set their rabbit adventures in the real Middle Ages in keeping with its historical pretext. Imagine a one-off session where the rabbits must flee a warren now devastated by the Battle of Hastings or a similar event, set in the English countryside of course! 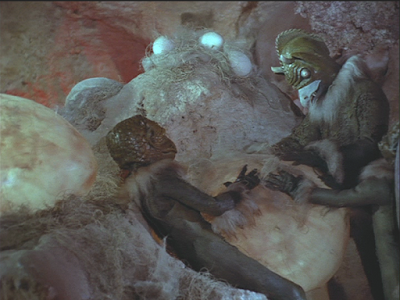 And while an early 80s film, it really represents a throwback to some bedrock 1970s sensibilities. This Retro Gear installment is not just a thing, but also an actual villain to introduce into your games, perhaps a recurring one! The Loc-Nar is a cosmic entity of uncertain origin, although it describes itself as the "sum of all evils" when it chooses to speak at all, noting that it generally prefers to manifest as an object, exploiting human greed and/or lust for power. 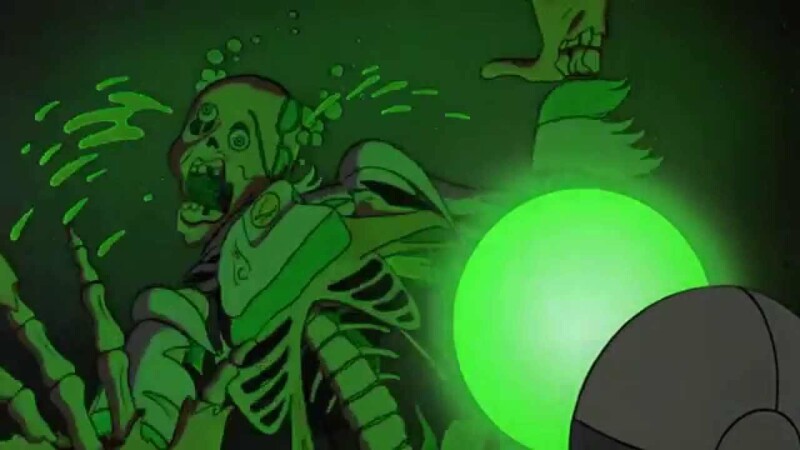 Per the above, the Loc-Nar appears as a green, glowing sphere of variable size and power, normally, about the size of a baseball and passing for a strange (magical or technological) artifact to be found and utilized by those who seek to locate it. On one occasion, however, it has grown to truly monstrous proportions and directly meddled in the affairs of an entire race of people. 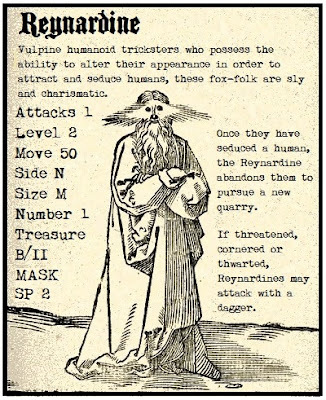 (1) Completely dissolve any living/mortal entity within 10' of it, a valuable way of controlling who possesses it, although any targets above 3rd level enjoy saving dice. (2) Raise up any number of corpses within 120' as zombies. (3) Set into a staff, allows the casting of any spell at 9th level, once per round so long as the item is possessed (it can do this independently should events require). (4) Possess any target that fails its saving dice, awakening its inherent evil (good adds +2 and neutral/evil types -3), adding 1d6+1 levels to the victim, changing their alignment, and either raising one attribute to maximum or granting (or doubling) an attribute when using Pits & Perils or any similar system. they must possess. But see how I destroy their lives..."
Despite its great power, the Loc-Nar is opposed by, and greatly fears, the legendary Taarakians, a race of skilled warriors dedicated to the protection of the weak and the destruction of evil, being perhaps the only things capable of destroying it. 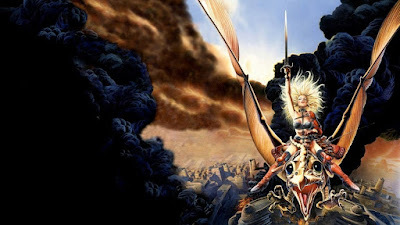 One such warrior, Taarna, is said to have sacrificed herself to defeat it and ensured the preservation of her people. And perhaps they live on within your own campaign. The possibilities are literally endless! To that end, we just LOVE the player-created stuff that makes its way to us online or through correspondence. In this spirit, we share the imaginings of +Sean Wills, writer of Crown of Qthuken and an early Pits & Perils fan in the United Kingdom. 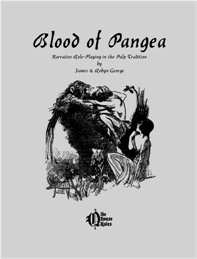 P&P can be remarkably visual, if only to convey that sense of an amateur production from the early 70s. But some of what Sean's done here, like the above, is rather easy on the eyes! Characters aren't the only ones who enjoy this treatment, as the above demonstrates. Not only is this a cool little monster ready to tackle an unsuspecting party, but it's also an illustration of how gaming can easily work as purely visual art. This is only some of the awesome stuff out there, and we both delight in the creativity (visual and/or otherwise) on display from those playing the game. Keep it up folks, and have fun doing so! 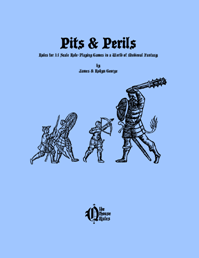 The Collected Pits & Perils...Is Here! So right up front: This is NOT a second edition, but a collection of PREVIOUSLY-RELEASED materials! How to handle non-combat actions. An alternate hit point system to make combat fast and lethal! New spells, rules for magic/spell research, and alchemical side effects for magicians making potions. Tips for introducing non-player enemies to the game while keeping combat fast, furious, and lethal! Multiple new magic items that greatly expand the possibilities in your own fantasy campaign plus some new rules for armor. All in a 50 pound stock for added durability (built to last)! Finally, we've scrubbed the books thoroughly for errata and to ensure the highest quality attainable. In fact, we've just updated all of our digital P&P titles on One Book Shelf to reflect these updates, which means you should check out your libraries! Note that for now, the softcovers are still available because it doesn't make sense to stop selling them and because we like them and they're our only option for any kind of retail sale. NOTE: The product listings for the softcovers have been updated to make buyers aware of the hardcover option. If you haven't already gotten the softcovers, this is an option. But if you've purchased the softcovers already, this is the definitive version, and we leave that up to you whether or not you wish to pick it up eventually. The choice is yours. Everyone's support of the game has been overwhelming and much appreciated, and we thank you all. Hopefully, new hardcover allows you to create worlds of wonder using just your imagination and a pair of six-siders! Your imagination is what it's all about! The (1972) Gargoyles Are Coming! This film holds up surprisingly well for B-movie fare and has a bona-fide role-playing slant. So first, a brief synopsis: the evil gargoyles have lived alongside humanity for millennia, dying off under increased pressure, but rising again after a time of dormancy to resume their quest for earthly dominance. That's it for the synopsis. Pick this creepy classic up! And once you have, feel free to introduce the gargoyles to your fantasy campaign using your system of choice. Luckily, most of the best old-school fare already have rules for these, making much of this a matter of simple logistics. So first, the setup: After ______ of years, the gargoyles have awakened from dormancy and are attempting to reestablish themselves, raiding farmsteads and killing isolated victims. They live in a mountainous cave complex, nurseries, actually, filled with many eggs destined to birth their next generation. Our heroes have been summoned to solve this mystery. At the top of the gargoyle hierarchy is the ALPHA and BETA, the breeding masters of the colony. Both types can fly and are strong and highly intelligent (assume 15+ or corresponding abilities in Pits & Perils), speaking the Common Tongue and a racial language for communication only among themselves. Alpha/betas are 7-8th level, befitting their power and status in the colony. 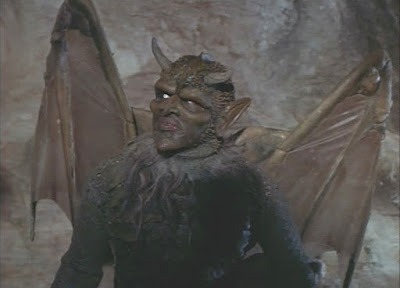 Gargoyle HUNTERS are wingless and less intelligent, although terribly strong, perhaps more than the rest. These are dispatched on errands to procure food and/or recover gargoyle remains lost during failed encounters. It takes some time to establish a colony, making secrecy of great importance*. Hunters always represent a rank-and-file variety with level to match. 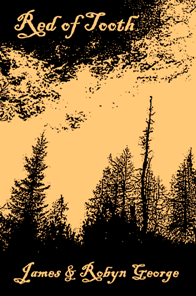 Most adventure begin as a mystery to be solved, noting that as the party gathers clues, hunters will certainly be dispatched. Later, the party will enter the colony proper, encountering the gargoyles on their own terms. These warrens are dark and winding, and their occupants will know them well! Note also that while normally evil (chaotic), the alpha/beta types are shrewd and open to whatever negotiation might save their colony. The role-playing opportunities are endless and combat a definite must!